I love breakfast. A lot. An obscene amount, really. Any time of day. Sure, I do love a nice breakfast when I wake up in the morning or brunch after sleeping in on the weekends, but I have also been known to occasionally make bacon and eggs for dinner. I just really enjoy breakfast food – it’s my favorite! 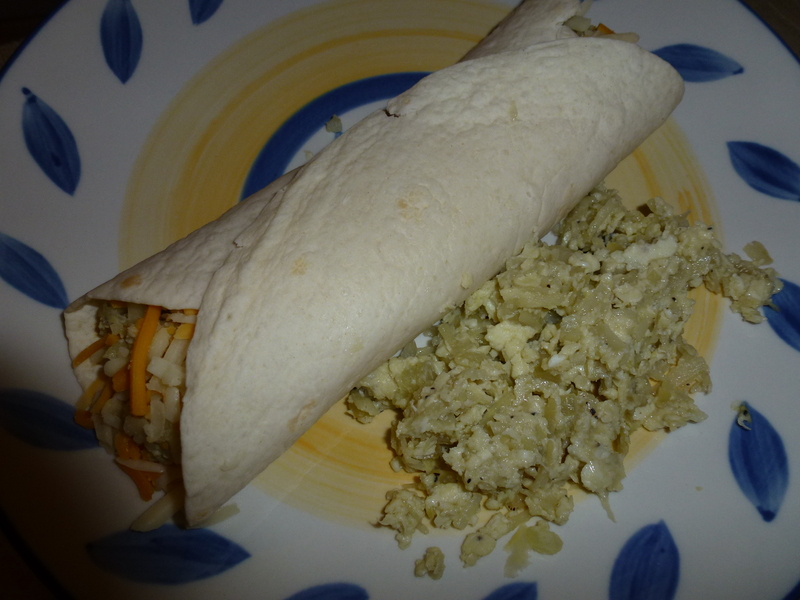 My go-to breakfast foods are usually scrambled eggs and bacon, omelets, pancakes, smoothies, or oatmeal, but today I tried something a little bit different: a breakfast burrito. 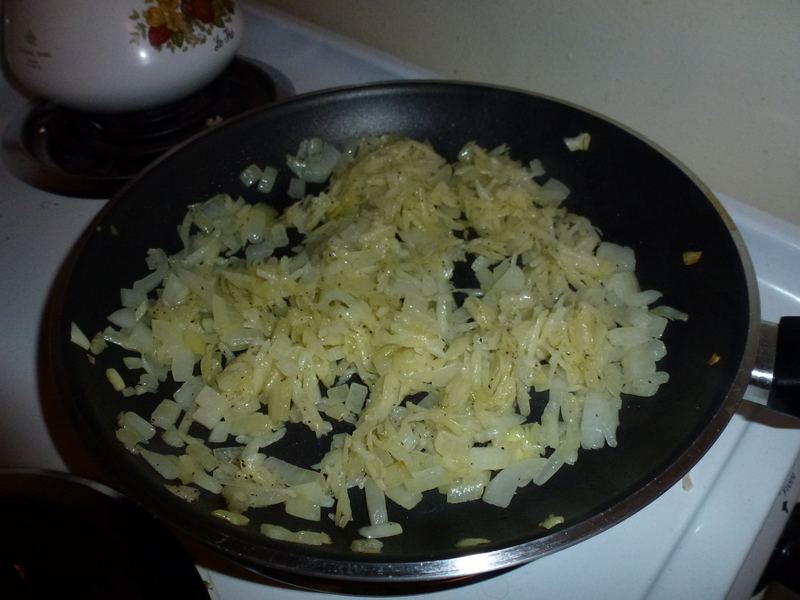 Start with 1/2 a yellow onion. 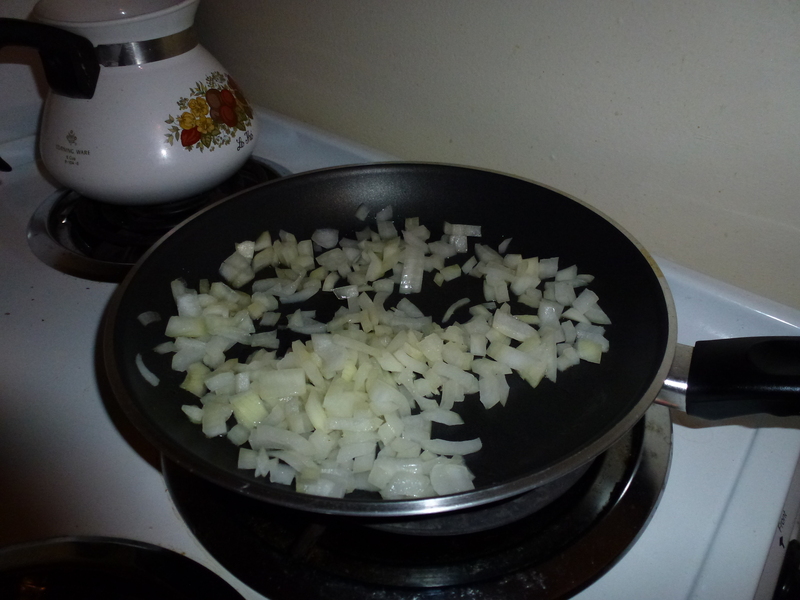 Chop the onion, then add it into a skillet with a tablespoon of extra virgin olive oil on medium-high heat. Add a peeled and shredded potato. You can use whatever potato you have lying around – I used a red potato, which I peeled then shredded with my grater. 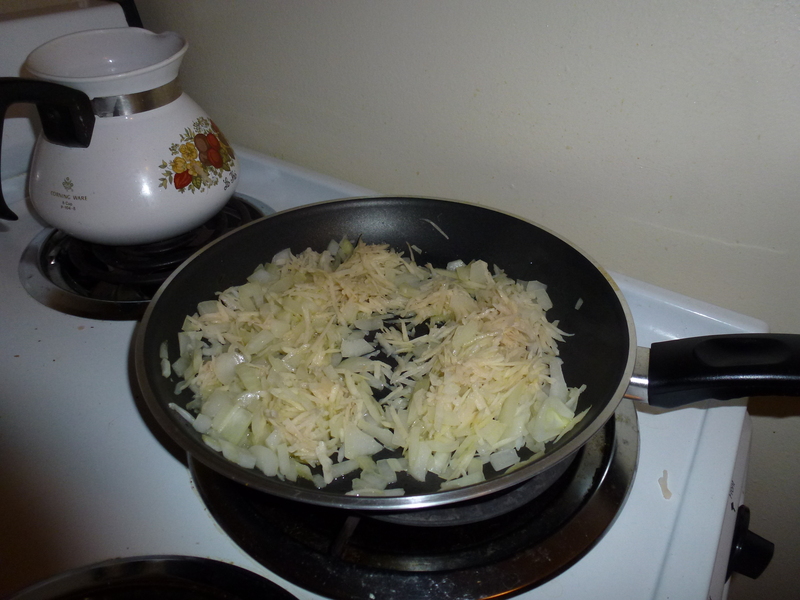 I squeezed the potato shreds afterwards to get rid of some of the excess water, then added them into the skillet with the onions. Season with pepper, then cook the potato and onion until tender. 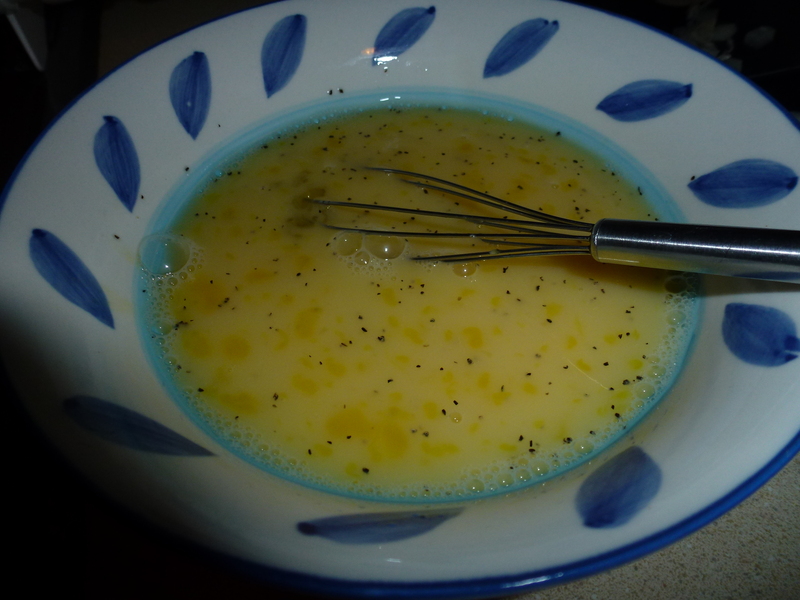 While the onion and potato are cooking, whisk together 2 eggs, 4 egg whites, and pepper. 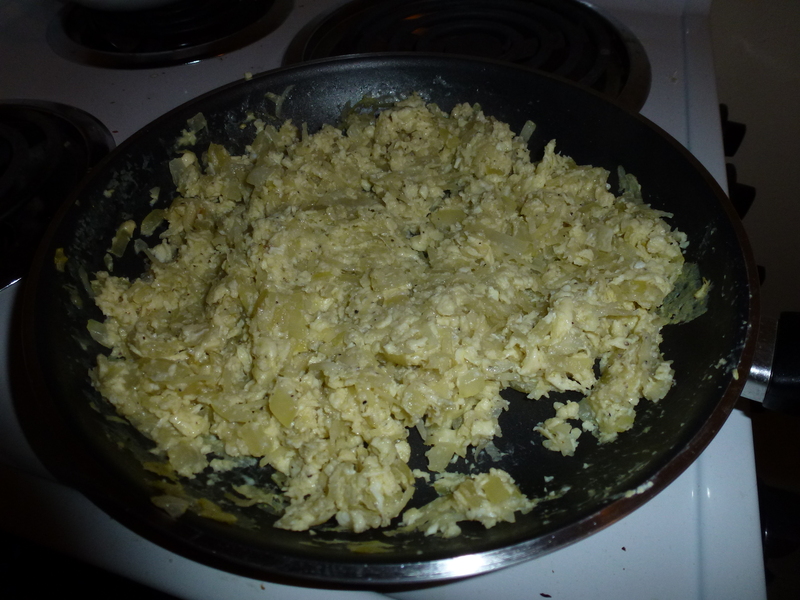 When the potato and onions are tender, add in the egg mixture and scramble in the pan until cooked. Warm up 2 flour tortillas in the microwave for 15 seconds then divide the egg mixture into the two tortillas. 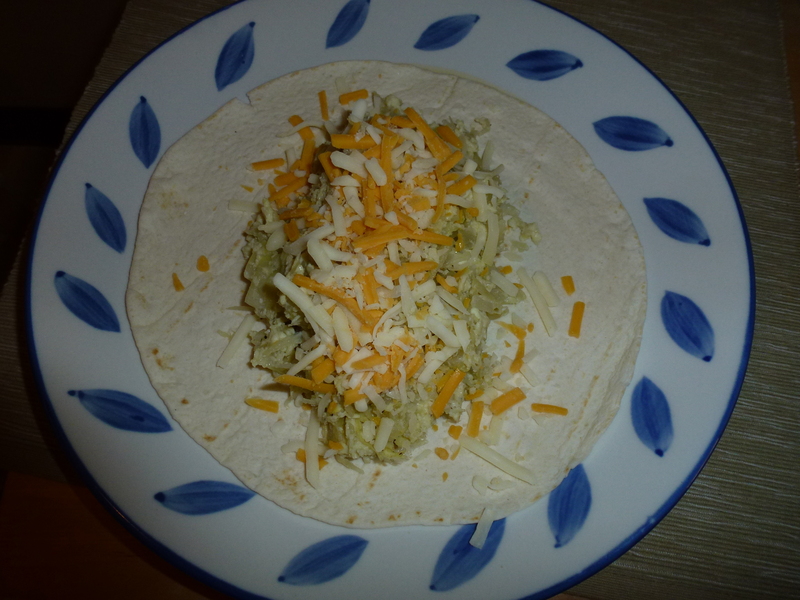 Top with some shredded cheddar. Saute onion and potato in 1 tbsp extra virgin olive oil until tender. 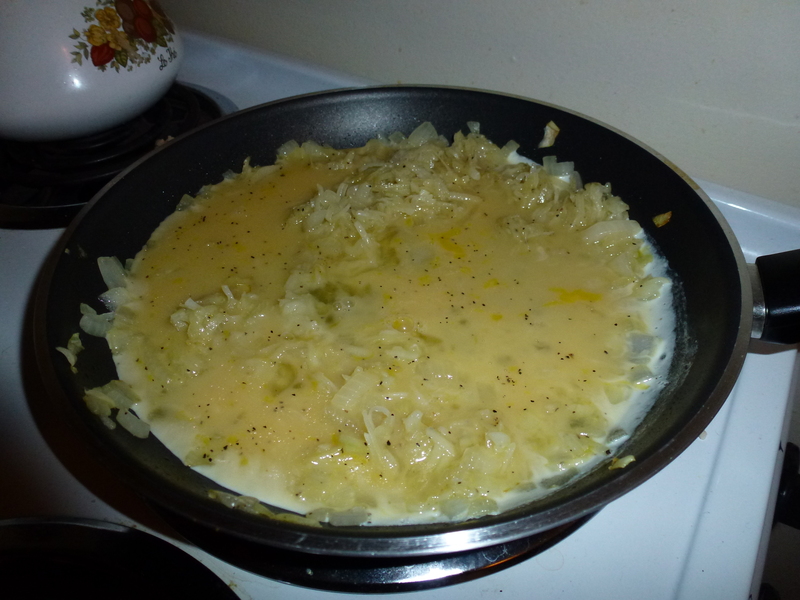 Add egg mixture into skillet with onions and potatoes. Heat tortillas in the microwave for 15 seconds. Divide the egg mixture into the tortillas. 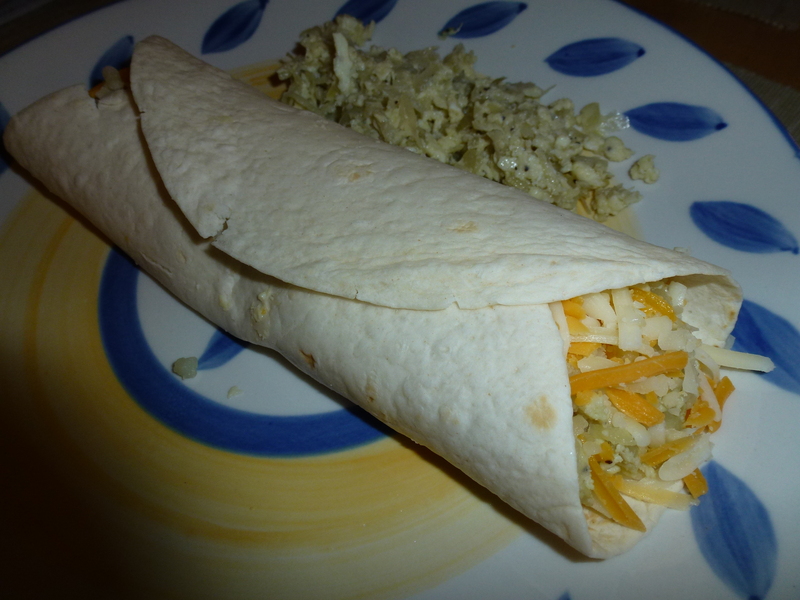 Top with shredded cheddar, then roll tortillas. Tip: These are great to freeze for a quick breakfast or lunch when you don’t have time to make one! These would also be really good with some salsa on the side! 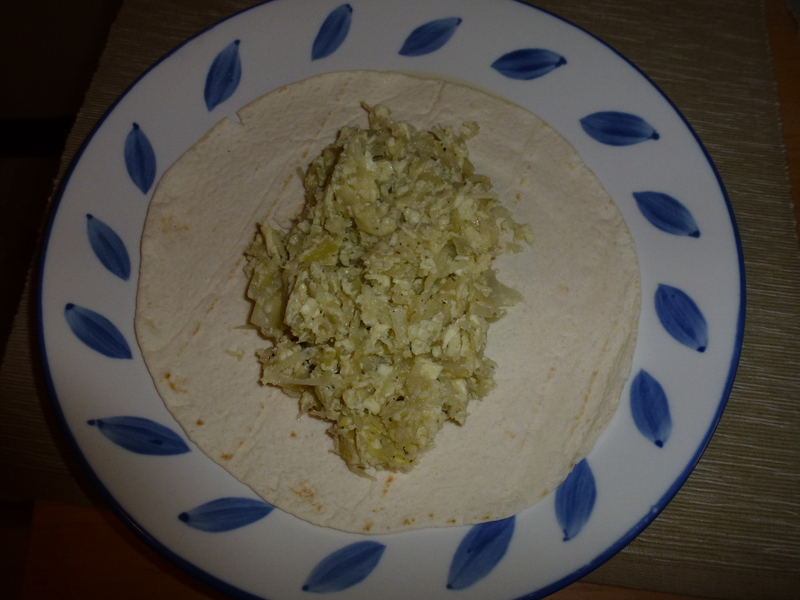 This entry was posted in Breakfast and tagged breakfast, breakfast burrito, eggs, onion, potato, tortilla. Bookmark the permalink.